from across the country with one, easy-to-use interface. Already a member? Sign in or Register to start collaborating. Start a trial and contact us to get free unlimited access. Stop spending hours navigating unusable government websites and start finding what matters with one click. Overwhelmed by the 150,000 bills and regulatory dockets that are introduced every year? 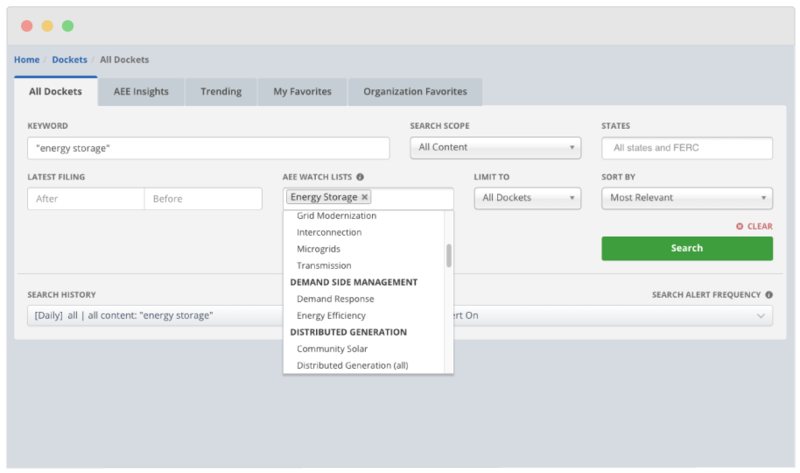 Quickly identify the few thousand that are focused on energy issues and see what is trending in real-time. Advanced Energy Economy's expert policy analysts provide hundreds of legislative and regulatory insights. We deliver a curated list of the most important insights bi-weekly straight to your inbox. 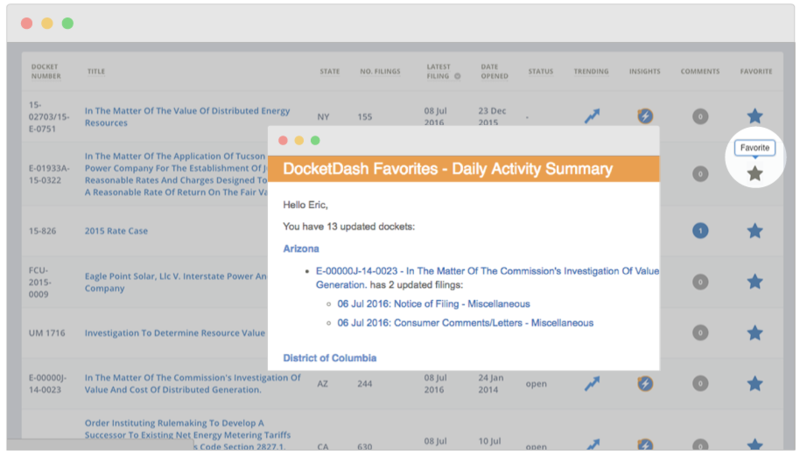 Track any bill or docket to receive notifications automatically about any important changes in a daily or weekly summary email. 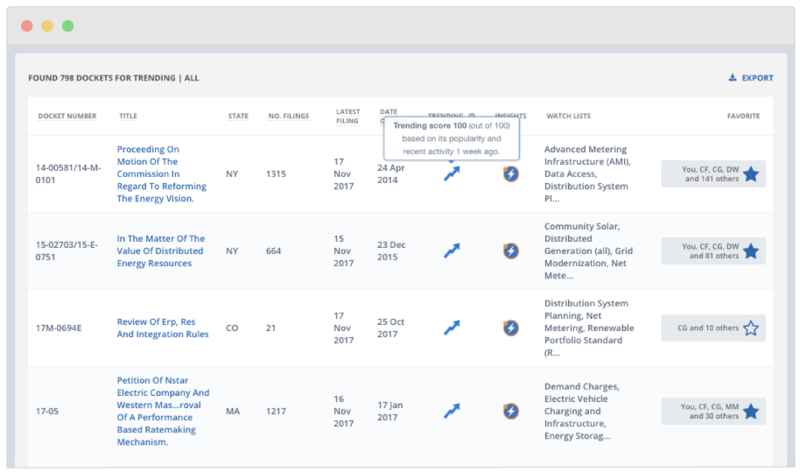 Easily monitor all 50 states and the federal government without hiring a huge team. 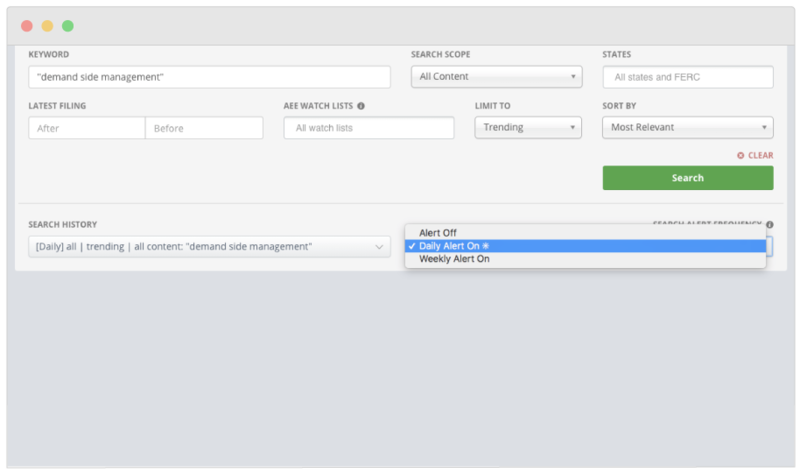 Use customizable 'Search Alerts' to be automatically notified about new policy that might impact your organization. 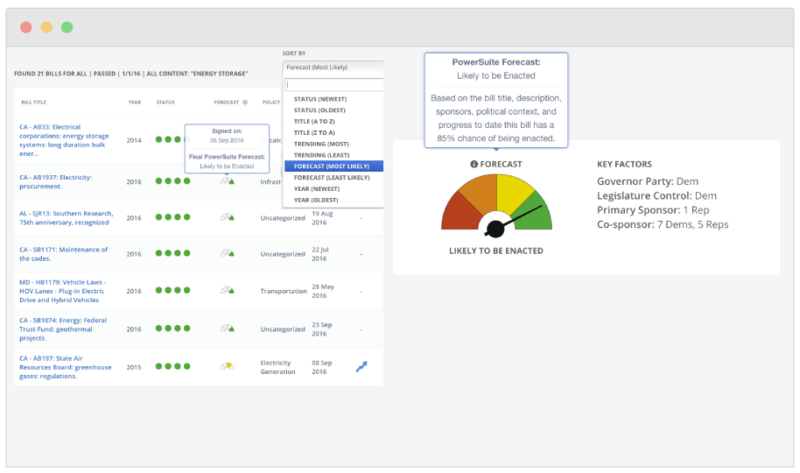 As soon as a bill is introduced, PowerSuite provides a real-time forecast of its likelihood of being enacted, helping advocates focus their efforts on bills with the greatest chances of success, as well as improving the prospects of bills that face an uphill climb. 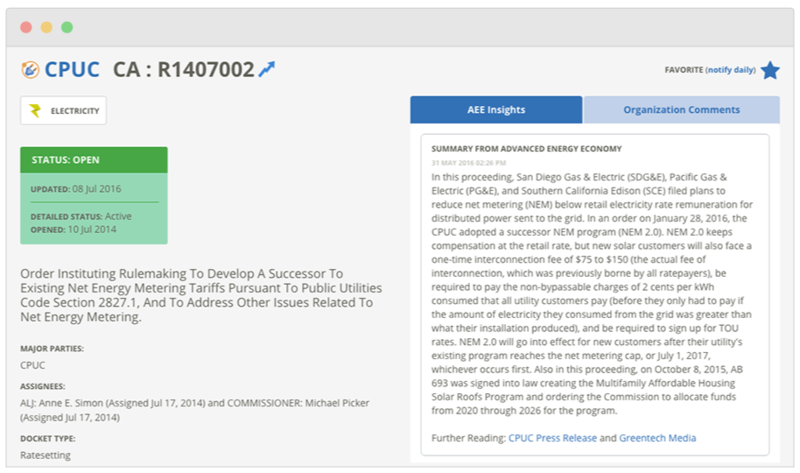 View bill details, partisan context, and forecast at a glance. Tired of maintaining policy status spreadsheets and sending repetitive emails? 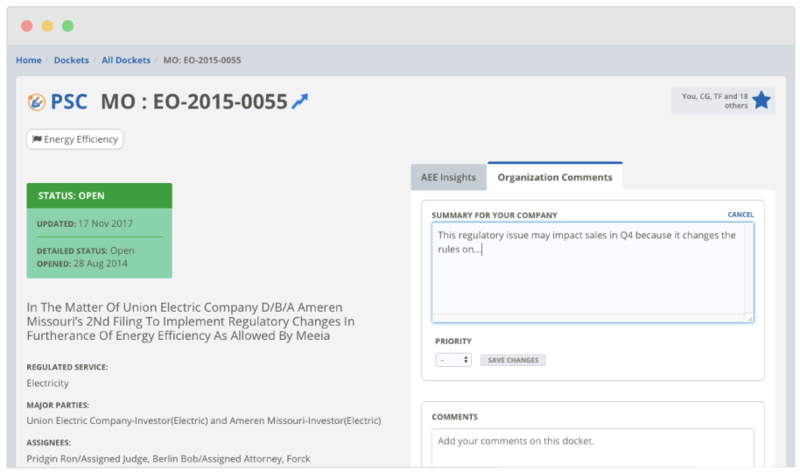 Use our built in collaboration tools to privately share summaries and comments with the rest of your team.